There are many saw choices available for the rough mill area in a typical cabinet or moulding shop. Typically, a shop will start out with a straight-line ripsaw and then add another as business grows. 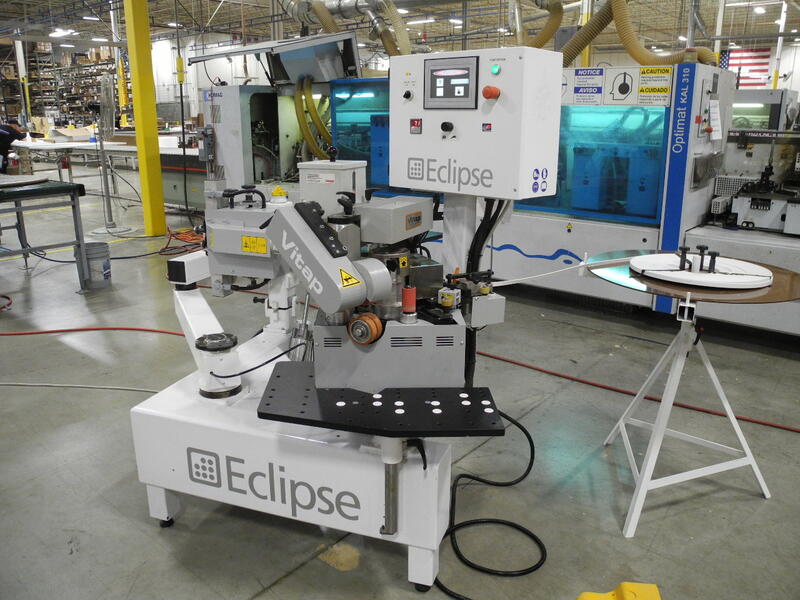 Another option is to have a fixed arbor gang saw to add throughput efficiency for the operation. A gang ripsaw can typically process three to four times the material that a straight-line ripsaw can process with the same labor input, plus it can deliver true parallel strips, eliminating the taper cuts often associated with single blade straight-line saws. Even better results can be achieved if you include a moving blade to the gang ripsaw. By processing the same random width material through different saw configurations it will be possible to demonstrate the impact the right ripsaw can have on yield in a rough mill operation. The input material consisted of 1032 board feet of random width red oak with an average length of 8.56 feet. 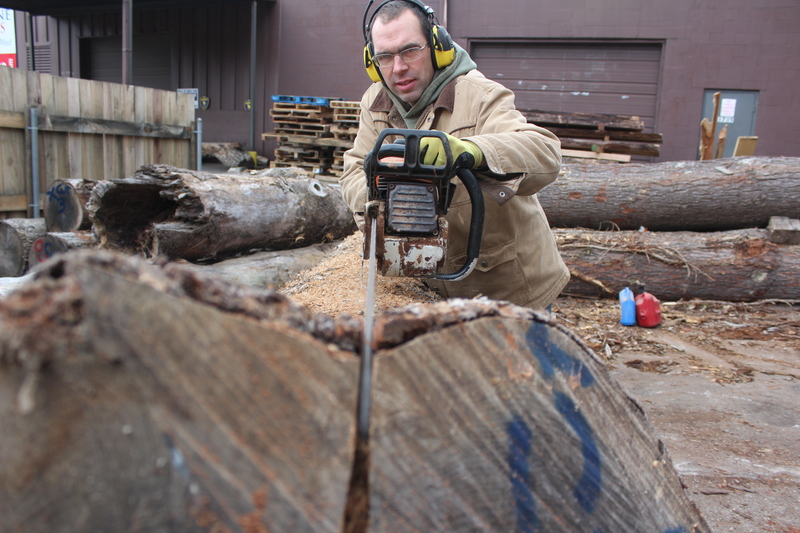 The average width was 5.63 inches and the lumber had an average side bend of 0.321 inches. Using Rip Navigator Optimizing software, a cut bill was created using 2-1/4 inches, 2-1/2 inches, 2-3/4 inches, 3-1/4 inches and 3-5/8 inches as the needed widths. The sizes would be used for stiles, rails and staves for panel glue up. Using a 24-inch fixed arbor gang ripsaw, the bunk of material designated by PO-1006 is processed through the saw (Figure 1). The yield was 80.3 percent, though not all required widths were cut. Running the same lot of material and cut bill through a 12-inch gang ripsaw with one moving blade and three fixed pockets (Figure 2) produced a yield of 85.4 percent (Figure 3). Next, using a simulated a 12-inch gang ripsaw with one moving blade, an added random width panel part was added to the cut bill. The random width part could be from 1 inch to 5 inches in width. This part would only be cut if the fixed part yield fell below 90 percent. This increased the yield to 89.3 percent. The next step is to see what happens if a second moving blade is added and there is one fixed pocket of 2.250 inches on the arbor to the same cut bill. The two moving blade saw yields 90.5 percent. 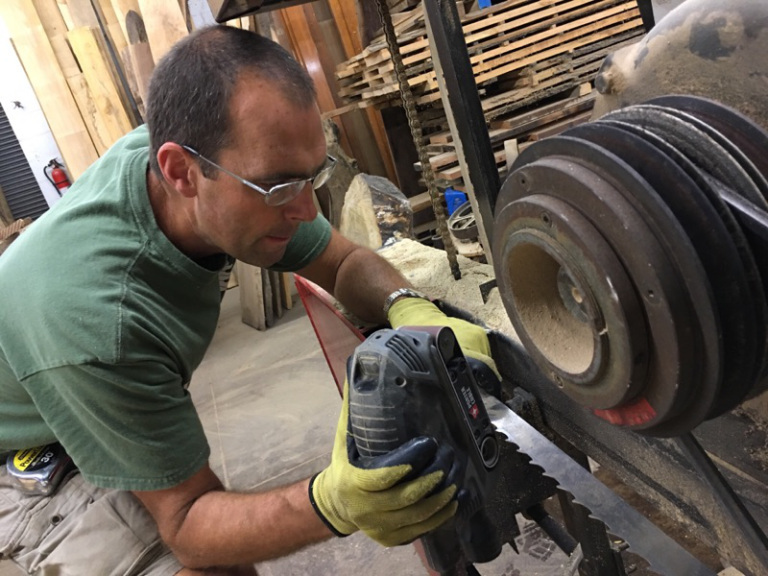 A summary reveals that a yield increase of 5.1 percent was achieved by going from a 24-inch fixed arbor to a 12-inch wide moving blade gang ripsaw. By adding a requirement for random width parts, the yield increased another 3.9 percent, by using the moving blade saw to produce those random width staves. A second moving blade gained another 1.2 percent in yield for the same material input. A total gain in yield of 10.2 percent was achieved in this simulation by using a moving blade ripsaw and adding a random width part to the cut bill. The end result is that substantial savings — in money and material — can be achieved by using the correct ripsaw. John Branch is an employee at Mereen-Johnson Machine Co. For information, visit mereen-johnson.com, call (612) 529-7791 or email info@mereen-johnson.com.